The newly established BRICS New Development Bank (NDB) is going to be headed by Indian banker KV Kamath. The bank is headquartered in Shanghai and is an attempt to bring together emerging economies of Brazil, Russia, India, China and South Africa. Initially the governor of Indian central bank better known as the Reserve Bank of India, Mr. Raghuram Rajan, was in talks to head NDB. After he showed little interest, the role went to KV Kamath who will be taking over the new opportunity in the next ten days. The NDB holds its first meeting in Russia in July this year. The $100 billion NDB will be a lending institution with a $100 billion reserves and will start functioning by the end of 2015. While the paid-in reserves will be in each country’s currency, the loans will be made in dollars. Recently, Greece was invited to be BRICS sixth member, which could be a big setback for the Eurozone. Greece will have many alternatives in case further financial aid is not provided to it by the European Union and International Monetary Fund and BRICS remains a favorite at the moment. According to Alternate Minister for Social Security Dimitris Stratoulis, the BRICS bank will unconditionally support Greece with financial aid. The five-member bank of BRICS is open to any sovereign member of United Nations. However, if Greece intends to join NDB, it will have to contribute a certain amount and with Greek economy shrinking 25% in the past five years, this might seem difficult if not possible. While the ministers at Greece and Russia might be very serious about Greece joining BRICS, Jim O’Neill thinks this sounded like a joke. However, Greece’s entry as a member and a borrower into the BRICS bank will not be discussed before BRICS summit in July. Russia’s deputy to BRICS, Vadim Lukov is sure that a whole number of countries wants to be a part of BRICS. Russia will be hosting the sixth annual summit for BRICS in July. Russia also seems interested in the new credit rating agency for BRICS so that US-based credit rating agencies are not the bigger players in the ratings markets. Whether Greece’s becomes BRICS member remains a mystery but it would be interesting to see the stand each member country in BRICS takes for its entry. With the baggage Greece carries, it could prove more of a liability for the balance sheet of the New Development Bank. The reason being that the new bank is just starting and will be in its initial phase and any member that joins it should either have an emerging economy or should be more of a contributor than a borrower. The New Development bank is BRICS first effort to balance world financial system and it still has a long way to go. The interesting turning point in BRICS membership will definitely be that of Greece’s debutant entry. Greece was the first Eurozone country in need of a bailout in 2010 and even after 2012, needed many more bailouts. While it was obvious that many rules in the Eurozone were bent for Greece, the money it needed still remains insufficient. The invitation for Greece to be a part of BRICS New Development Bank has been “a happy surprise” for Greece Prime Minister Alexis Tsipras. Greece faces a punishing debt repayment schedule in the coming weeks where it owes 1.5 billion euros to IMF in June and three billion euros to European Central Bank (ECB) in July and August. The offer from BRICS for Greece is well timed and it might not be too surprising if the ailing economy looks at other alternatives to Eurozone. Comparing NDB to already existing institutions like World Bank and IMF might not be the right comparison since they are in different phases. While NDB has five members, IMF has 188 countries with an established structural hierarchy. World Bank Group further has five organizations owned by the governments of member nations. These are International Bank for Reconstruction and Development (IBRD) with 188 members, International Development Association (IDA) with 173 members, International Finance Corporation (IFC) with 184 countries, Multi-lateral Investment Guarantee Agency (MIGA) with 181 countries and International Centre for Settlement of Investment Disputes (ICSID) with 150 countries. BRICS have time and again expressed their disappointment with International Monetary Fund (IMF) and a need for a reform in the system. 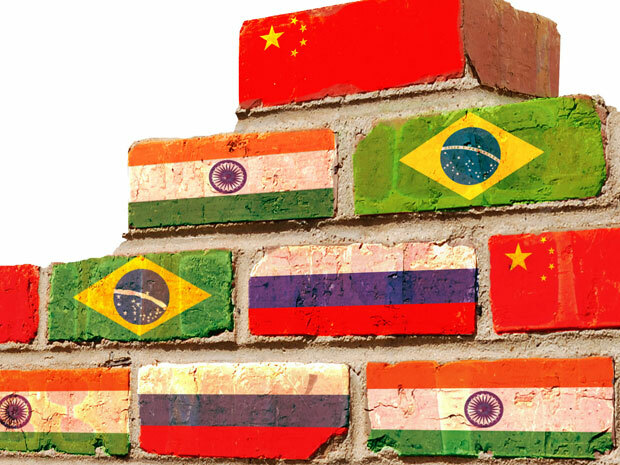 While comparison of NDB and other established international institutions might be entirely unrealistic as of now, many academicians have shunned the idea of BRICS being successful in the long run. Andrew Karolyi, a professor at Cornell University said that isolation of countries in rich/poor categories could be unhealthy for the countries as well as the investors. According to Business Insider, his study showed that only a handful of emerging markets ranked higher that some developed countries.